When you’re ready to get in the driver’s seat of a new Mercedes-Benz, come speak with the Mercedes-Benz financing experts at our Mercedes-Benz dealership near San Diego, CA. Our team of finance specialists will answer all the questions you have, explain the difference between leasing and financing, and help you to determine which car loan is right for you. Get started with the Mercedes-Benz financing process today! If you’re the type of driver who likes to always have the most up-to-date technology in their vehicle, and you don’t tend to drive too far, then leasing a new Mercedes-Benz may be perfect for you. Be sure to check out our Mercedes-Benz lease specials to see our current lease offers. If you’d prefer to make a monthly payment that goes toward eventual ownership of your Mercedes-Benz, then financing a Mercedes-Benz might be a better option. This way you can keep your Mercedes-Benz for years to come! Learn more about the various luxury car lease and loan options available to you at our Mercedes-Benz dealership near San Diego, CA. 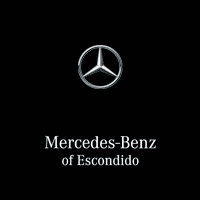 Mercedes-Benz of Escondido	33.1072302, -117.0927389.